Generally speaking, downloading an eBook should be relatively easy and trouble-free on computers with Windows OS or on Android devices. However, to download eBooks on Mac computers and iOS devices can sometimes prove tricky. By default, users should be able to download or view PDF files such as eBooks online via Safari, or open offline using the Preview application. Both Safari and Preview are pre-installed on Mac OS X. If Adobe Reader has been installed, Safari will use the Adobe Reader plugin to open the online PDF instead of the default built-in one. 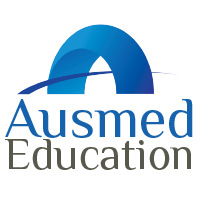 However, users will be presented with a dialogue box that asks 'Do you want to trust the website "www.ausmed.com.au" to use the "Adobe Reader" plug-in?'. This is for security reasons determined by Apple. As a user, you will have to press "Trust" before viewing the PDF. If you have already closed this dialogue box or it hasn't appeared, you will need to manage your security preferences. You can do this by opening System Preferences and following the pathway: System Preferences --> Security --> Manage Website Settings --> Adobe Reader. By default, users should be able to view PDF files such as eBooks online via Safari. Other browser apps that can be added such as the Google Chrome one should also be able to view these too. Downloading eBooks through browsing apps like Safari or Chrome however will only result in a temporary file existing in the app, and will not save it permanently to the device. This can cause a number of issues when trying to re-access eBooks downloaded. To view these eBooks on an iOS device you can download and use the free iBooks app, which is available in the app store or here.